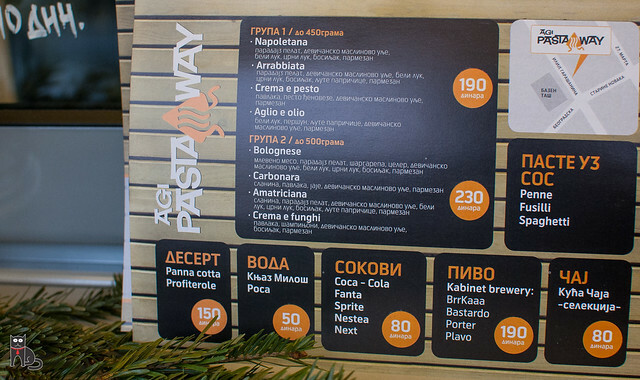 Agi Pasta Away – Try the Best Pasta in Belgrade! 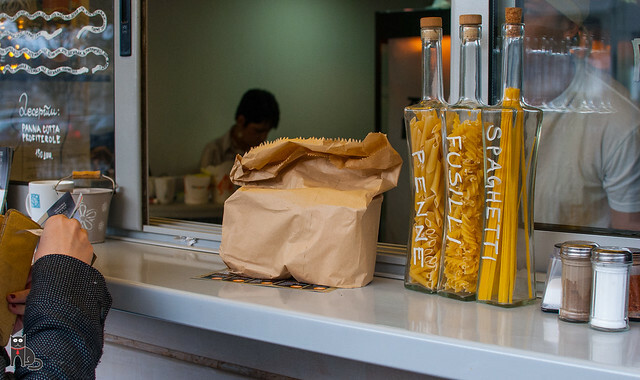 “Pasta in Belgrade?”, you probably don’t share our enthusiasm. “Nah, Serbs like strong food, their pasta must be flooded with meat and sauces, it’s definitely more like a stew. 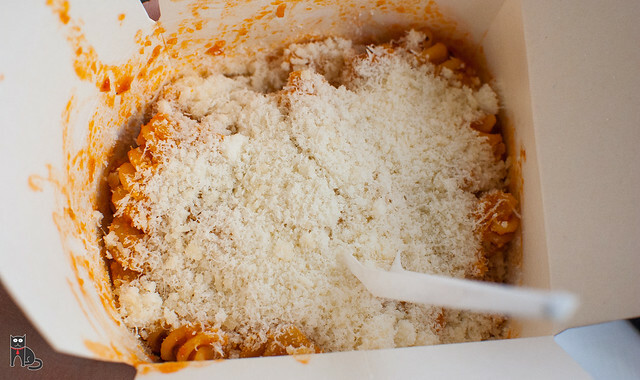 I’ll eat pasta when I go to Italy”. Actually, you couldn’t be more wrong. Agi Pasta Away is made not just with love, but also with very precise and strict recipe in order for it to be a true and original pasta. Spaghetti are cooked perfectly (not a single second shorter or longer than needed), sauces are of very high quality and taste and are served in an amount just as they are supposed to, and the Serbian gourmet taste is satisfied – well, by size. Portions at this place are quite big. Also, Agi Pasta offers its products at amazingly low prices, even for the Serbian standard. There are 8 types of pasta, with four of them being a bit lighter (portions of 450 grams, without meat) and four heavier (portions of 500 grams, with sauces made of meat or meat products). 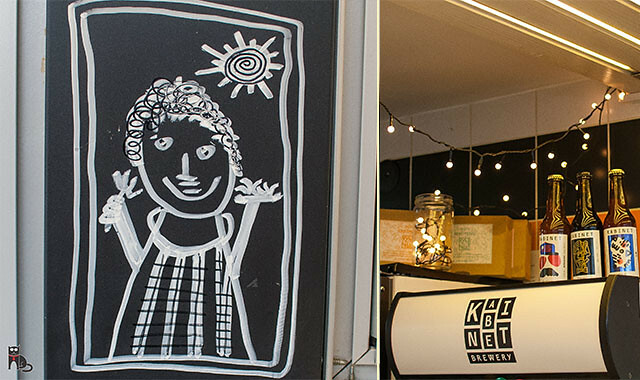 Prices are 190 RSD (around 1.6 EUR) and 230 RSD (around 2 EUR), respectively, which is very affordable to most people. 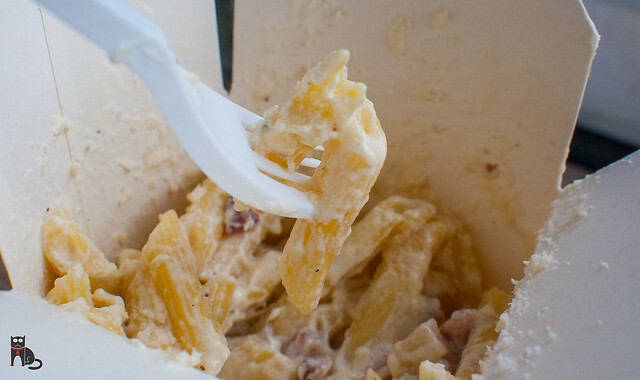 Napoletana, Carbonara, Bolognese… Choose whatever your stomach tells you to. 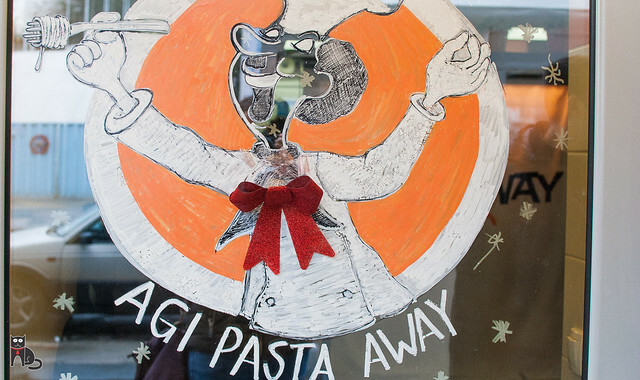 Agi Pasta Away is located at two different spots. One is at Ilije Garašanina 33, near Tašmajdan park, and other is at Zorana Đinđića 71, very close to Belgrade Arena. Check out the locations in the pictures below. 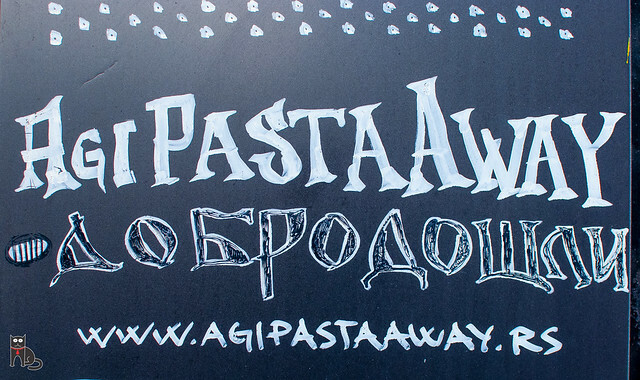 When in Belgrade, don’t miss Agi Pasta Away, you will regret!